Internet Protocol (IP) Communications have become part and parcel of everyday correspondence in workplaces. Voice and Video calls over the Internet have also become one of the most innovative and exciting technologies that can bring down considerable cost with high tech functionalities like mobile integrations and Internet fax. If you are still one of the few companies who haven’t made the switch to advanced communication technology, take a few minutes to know what is it all about and how it could benefit your company in the future. IP Communications are far more advanced than your traditional phone system in the sense that it has added several features than the usual dial tone and voice mail capabilities. It includes VoIP or Voice over Internet Protocol technology that enables you to transmit calls using the Internet. If your company has remote workers, or is spread out across the country, then this phone system is right for you. 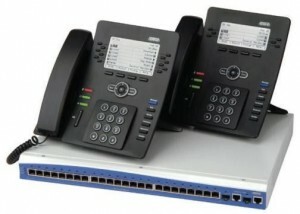 There is no use for PBX hardware since this technology is cloud based and no expensive maintenance is needed. With the advent of IP communications, avoiding long distance phone services among geographically dispersed business locations mostly generates cost savings. Operational costs are also lessened with the reduction of software upgrade and hardware maintenance costs of aging PBX equipments. From a systems management perspective, companies can see savings of up to 85 percent a year on changes, migrations and ads. The need for separate staffs for voice and data networks is no longer needed. Even if you have separate offices, your phone provider will be able to maintain all systems with no additional charges. Unified messaging is one feature that you can enjoy in IP communications. In one centralized system, employees can forward voice mails, fax documents and other important files to other colleagues through the internet, causing improved collaboration among all departments. Even if your employees are scattered across the globe, hosted systems like those that RingCentral VoIP providers offer in different parts of the world provide the same cloud based VoIP service for any business. This enables you to talk to each other directly on the Internet, making conference calls using your smartphones and changing voice mail preferences by just a click of your mouse. If your company is on its way to becoming more successful and have to hire more people, you need to have more phone extensions added to your system. The simple need of adding an extension to your traditional phone may cost you a lot more money from having to pay service technicians going to your office for the setup. Through IP communications, all setups are done through the web, line extensions can be added in just a few minutes after calling your VoIP provider. If you have to relocate your office to a different location, simply unplug from your data network, plug it back in and all systems will be restored with no assistance required from your system administrator. Scalability can also work backwards, if you have to lessen your phone lines, a quick call to your provider could easily deal with it. Your customers would no longer have to encounter a busy tone since all calls are readily received by your phone system. An auto attendant will then easily transfer their calls to the party who they want to talk to. Calls are seamlessly connected with the help of call forwarding features that finds the concerned party in all the numbers of his phones listed in your phone system. This way, the customer’s call can easily reach the person involved anytime, anywhere. IP Communications could also be integrated with your company’s customer relations management (CRM) technology that allows you to view your customer’s buying patterns, sales history, address and current account status. This is possible through caller ID that is incorporated into your system that enables your monitor to be populated with the customer’s information as soon as you receive their call.